Sundays are my favorite day because I get to unwind from whatever crazy week I might have had. For me, unwinding means doing things that make me feel relaxed and I want to share those things with you guys today. Now that September is here, I am reminded that my husband is a huge football fan and once Sundays come around he probably forgets I'm even in the house. I'm honestly not even mad at that because I get to do my own things and unwind at home. I love to practice self-care by reading fashion magazines to catch up with the latest fashion and beauty trends. I also love to take care of my beauty needs, like painting my nails and doing my eyebrows. There's something about doing those things that puts my mind on cloud 9. I honestly forget about the stressful week I had. Since I have a good amount of time to myself on Sundays, I love playing some tunes from my favorite playlist and taking a long hot shower. Two of my favorite products that I love using in the shower are AVEENO® Skin Relief Body Wash and AVEENO® POSITIVELY RADIANT® 60 SECOND IN-SHOWER FACIAL. I purchased these two products at my local Walmart store in the health and beauty section. AVEENO® products are great to use when you are trying to achieve a "treat yourself" moment. The body wash is fragrance-free and gentle on sensitive skin, which is a definite plus for me. I like that it cleanses my skin and leaves me feeling moisturized. It also removes dirt and impurities! The shower facial seriously made me feel like I was in my own spa. It smells amazing and works with the steam of the shower to deeply exfoliate oil and get rid of dead skin. It transforms dull looking skin into radiant soft skin in 1 minute! Oh, and did I mention it's oil free!? You guys know I love oil-free products for my face. These products are my go to for "me time" on Sundays and they are a must try. Just follow the instructions on the packaging and put a do not disturb sign in the bathroom because these products will make you not want to leave the shower for a while. 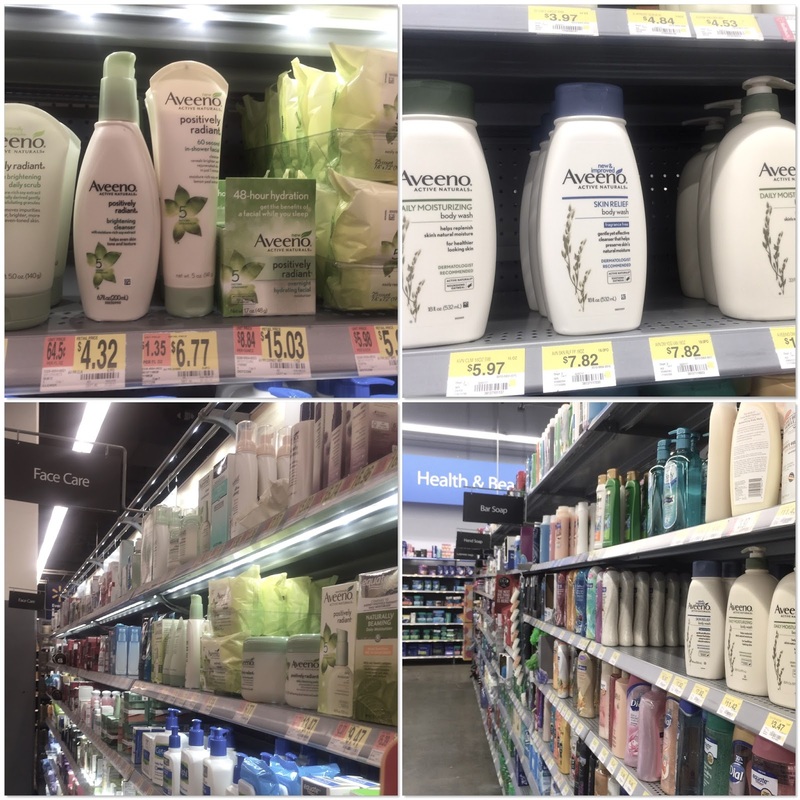 Have you guys tried these AVEENO® products before? Hope you guys enjoyed what I do and use to unwind on Sundays! What are some of your favorite ways to unwind: is it long showers like me? Music? Reading? I love AVEENO® one of my favs brands in the market! All of this about your using Aveeno is really good for keep up perfect beauty.So everyone must use Aveeno and Liquid Matte Lipstick to keep a perfect gorgeous look.